I’m getting this week off to a good start by getting my menu done Sunday morning. Woohoo! And we’re surprising the kids by taking them to the Wild Kratts Live show today (thanks, PBS!). Cannot wait and will report back on how the show is! You know the drill, share your own meal plans in the comments below! Thank you all for sharing week after week! Thu-Sun: Cape May, NJ- definitely one dinner will be at The Lobster House. 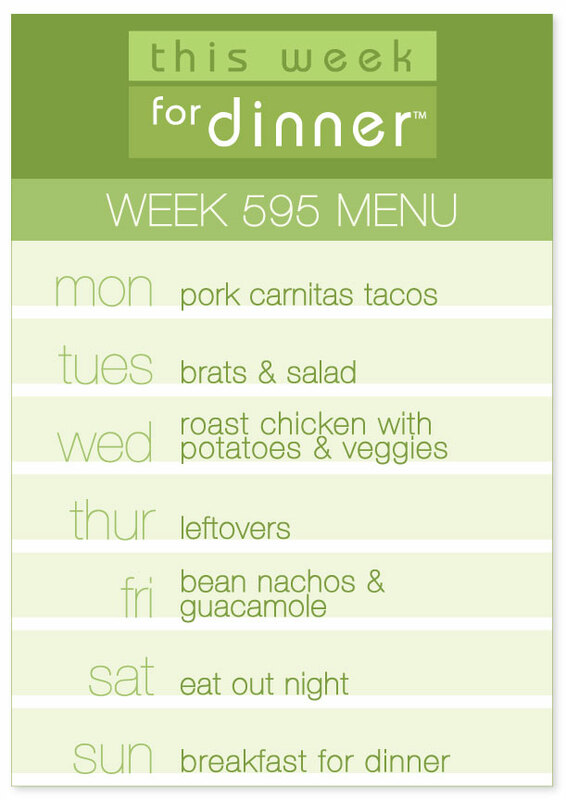 I’m out of town on business this week, but we have some easy dinners planned. Monday: Jane’s Lentil Rice Bowl with Lime Tahini Dressing–So yummy! Thursday-Sunday: Out To Eat, Going to Vegas for a long weekend! As always, THANK YOU FOR THE MENUS!!! !